Unbounce is a landing page and conversion marketing platform that allows users to quickly create, launch and test landing pages without heavy development. WhatConverts can easily be implemented on your Unbounce landing pages to add an extra level of conversion and lead tracking. With WhatConverts, you can take your landing page testing to a new level. If a user visits your Unbounce page, picks up the phone and calls your business, you will have the source, medium, campaign, content and keyword data on top of the landing page and the page the user was on when they contacted your business. 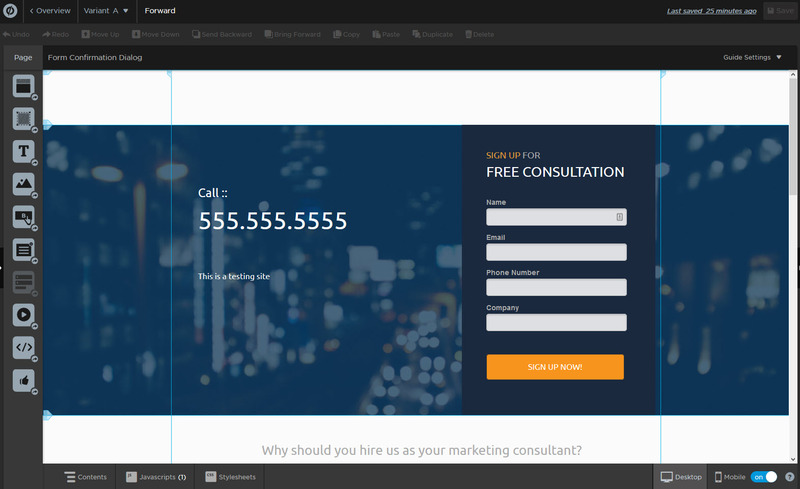 You can get started with call and form tracking on your Unbounce landing page in minutes from start to finish. Integration with your forms is quick and easy. With WhatConverts your phone calls, form submissions and web chats can all be seen in one place. You get that information and more all directly in your WhatConverts dashboard and you can view the information of what page the customer was on when they submitted a lead, what marketing brought them to you and view chat transcripts and listen to call recordings.